New Delhi, Mar 22, 2018 : UIDAI told the Supreme Court it has repeatedly asked government ministries not to deny services in cases where a citizen’s biometrics do not match and to set up an institutional mechanism to deal with such scenarios. The Unique Identification Authority of India (UIDAI) CEO Ajay Bhushan Pandey today told the Supreme Court that Aadhaar-based verification cannot always ensure successful biometric authentication. Pandey also admitted that currently there is no institutional mechanism in place to deal with cases where a citizen’s biometrics do not match with those linked to his/her Aadhaar identity. Pandey’s comment was in the context of allegations that services have been denied to citizens in cases where their biometrics have failed to match their Aadhaar details. 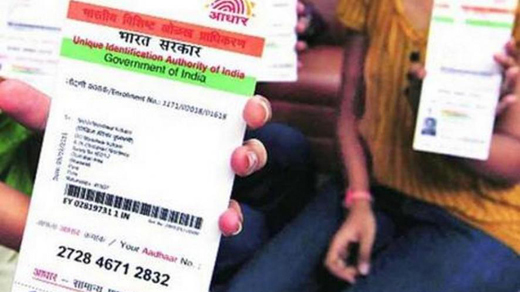 Pandey told the Supreme Court that the UIDAI has repeatedly asked government ministries not to deny services in cases where a citizen’s biometrics do not match and to set up an institutional mechanism to deal with such scenarios. Biometrics may not match due to a number of factors such as problems with internet connections and malfunctioning devices, and so, Aadhaar-based verification should not be relied on absolutely to authenticate a citizen’s identity, Pandey told the Supreme Court. "Repeated circulars have been issued by UIDAI that services should not be denied [in cases where biometrics do not match a citizen’s Aadhaar details]. We have always advised ministries to not have 100 per cent reliance on biometrics authentication," Pandey told the Supreme Court today. Pandey’s admission came during the ongoing Supreme Court hearings over a number of petitions and Public Interest Litigations (PILs) that have challenged the constitutional validity of Aadhaar, which is overseen by the UIDAI. A citizen’s Aadhaar identity is linked to, among other personal details, his/her biometrics such as fingerprint, iris scans and photographs. Service providers - government or private - often use these biometric markers to authenticate a person’s identity while providing their services. Banks, for example, scan an applicant’s fingerprints while opening new accounts and match them with his/her Aadhaar records in order to authenticate the applicant’s identity. To impose such unreliable system is an foolish idea.All the populi of India is taken for ransom made to suffer unnecessarily for the ego of one.